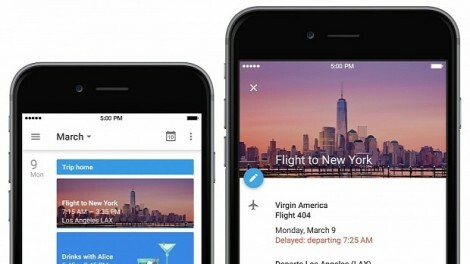 Google, through Robin Züger, has announced today, March 10, the immediate availability for download of the official Google Calendar app for iPhone devices. It is the iOS version of the Google Calendar app for Android announced back in November 2014 by Ian Leader, Product Manager at Google. The official Google Calendar app for iPhone is now available (finally!) on the App Store and includes the same features that have been available to Android users for about five months, such as support for automatically converting emails from Gmail into Calendar events. Moreover, the application includes the Assists functionality, which saves you a lot of precious time when creating events by giving you all sorts of suggestions, as well as the well-known Schedule View that makes your calendar beautiful and very pleasant to the eye. And the best feature of the Google Calendar app for iPhone is that it integrates with all your existing calendars, but you should just go ahead and watch the introduction video below to see how the app looks and works, or just head over to the App Store to install it on your phone. “Of course if you’re on Android, then definitely check out the recent improvements we made to Google Calendar for Android. Either way you can now spend less time managing your day, and more time enjoying it.” says Robin Züger on the blog announcement. Marcos disse:OlÃ¡ Lina,Eu, minha esposa e minha filha estaremos chegando Ã Paris em 08/10/10. Pretendemos conhecer o mÃ¡ximo possÃ­vel, pois teremos somente 4 noites, sendo assim, deveremos nos locomover bastante de metrÃ´. O carnet com 10 bilhetes poderÃ¡ ser utilizado por nÃ³s trÃªs? Claro que trÃªs bilhetes de cada vez. Poderemos fazer baÃlead§Ãµes entre linhas apenas com um bilhete de cada um?Merci.